Congratulations to Sarah Louzon on winning our 156th High Five Giveaway and thank you to all who entered! 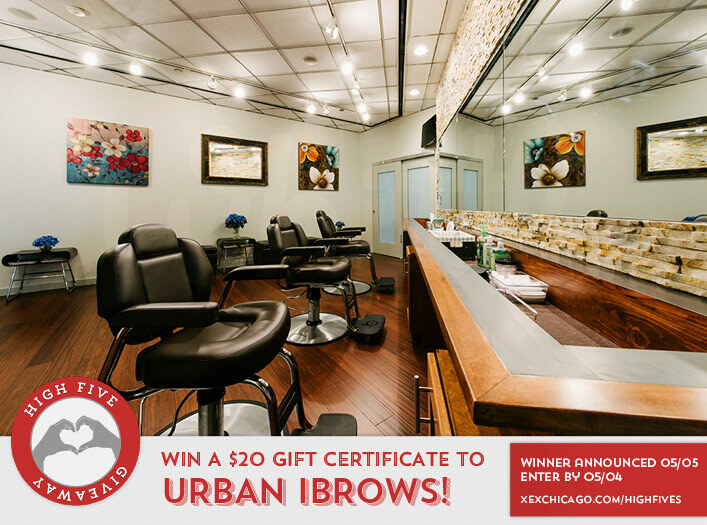 Our next High Five Giveaway is for a $20 gift certificate to Urban iBrows. How many boards does XEX currently have on our Pinterest profile? Now, just add a comment to this post with the right answer to be eligible to win! The winner will be announced on Thursday, May 5. Entries must be received by midnight on Wednesday, May 4. 19 Boards XEX currently have on your pin interest profile.